Sculpture Size: 20.5 X 14 X 16 in. 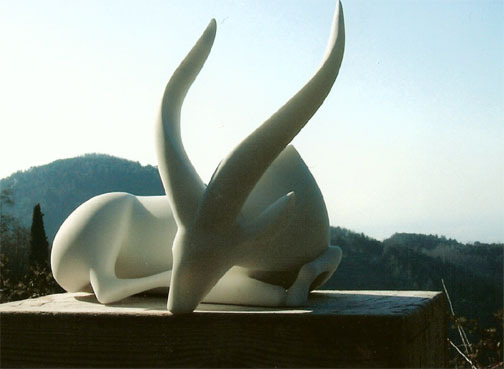 Gorgeous marble interpretation of Vanderveen's bongo. Stunning sculpture!